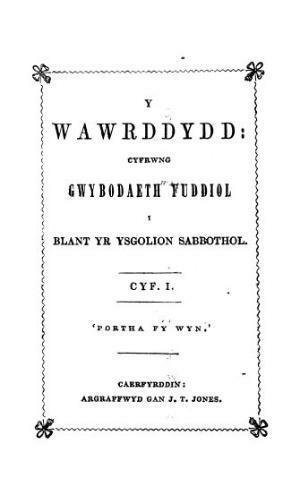 A monthly Welsh language religious periodical intended for Sunday school children. The periodical's main contents were articles on religion, the natural world and children's behaviour, alongside poetry. The periodical's editor was the minister and publisher, Josiah Thomas Jones (1799-1873).